Union County, NJ – The Union County Board of Chosen Freeholders is pleased to announce the new Watchung Reservation Trails website. 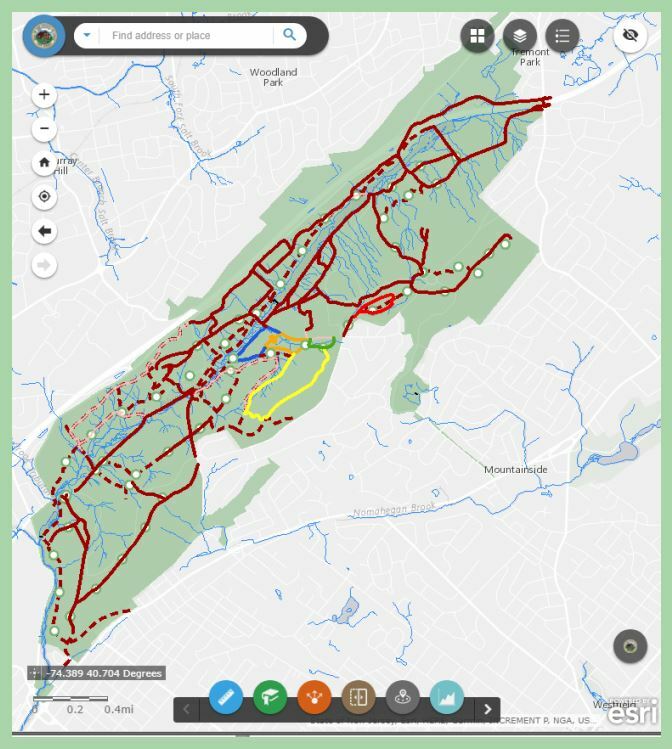 The new site features an interactive map designed to help visitors navigate the nearly 2,000 acre Watchung Reservation, the largest of the County’s 36 parks. The new Watchung Reservation Trails website was created in-house by the County’s Department of Parks and Recreation and the Department of Engineering, Public Works and Facilities. Built-in reporting features also enable hikers to use the new website to report fallen trees and other trail issues on the spot, including photos and geo-location, and to receive a notification once the condition has been addressed. To access the interactive map, visit the County website at ucnj.org/watchung-reservation-trails. For more information about the Department of Parks and Recreation, visit ucnj.org/parks or call 908-527-4900.